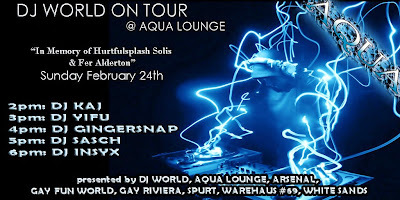 Eddi & Ryce Photograph Second Life: Advance Notice: Aqua Lounge celebrates it's 6th Anniversary starting Friday night. 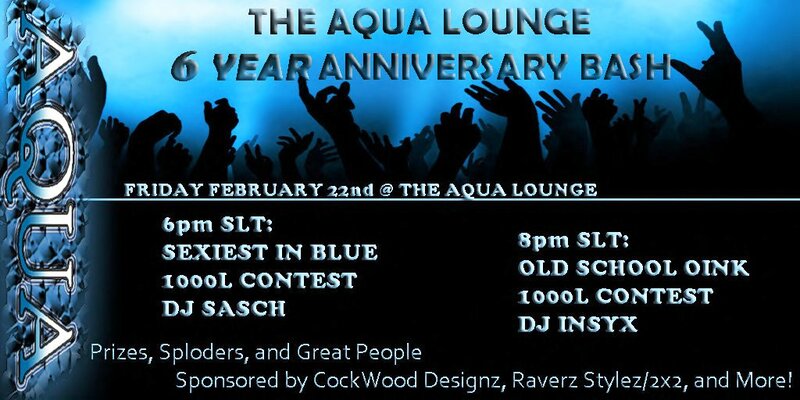 Advance Notice: Aqua Lounge celebrates it's 6th Anniversary starting Friday night. 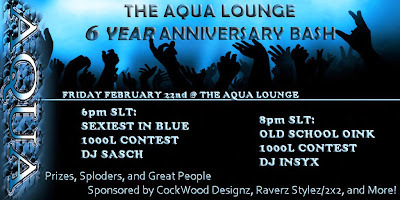 Aqua Lounge, a classic LGBT night life destiantion where all are welcome, celebrates its 6 year anniversary in Second Life on Friday night starting at 6:00 PM SLT. Note: The contest prize has increased to $3,000 Linden. 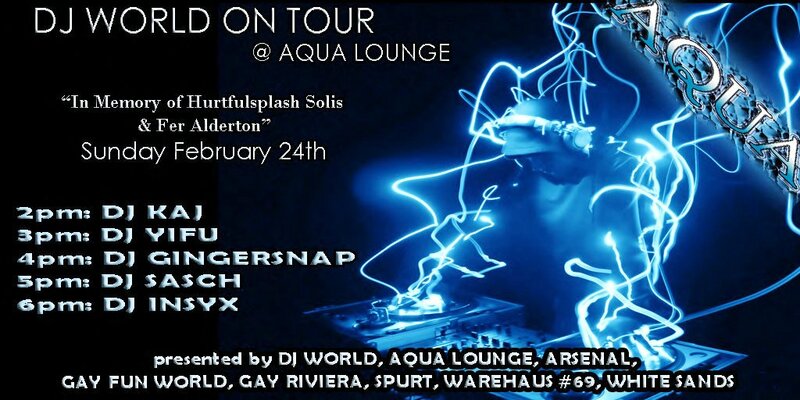 And on Sunday, DJ World On tour comes to Aqua Lounge from 2:00 PM - 7:00 PM SLT with 5 great DJ's.